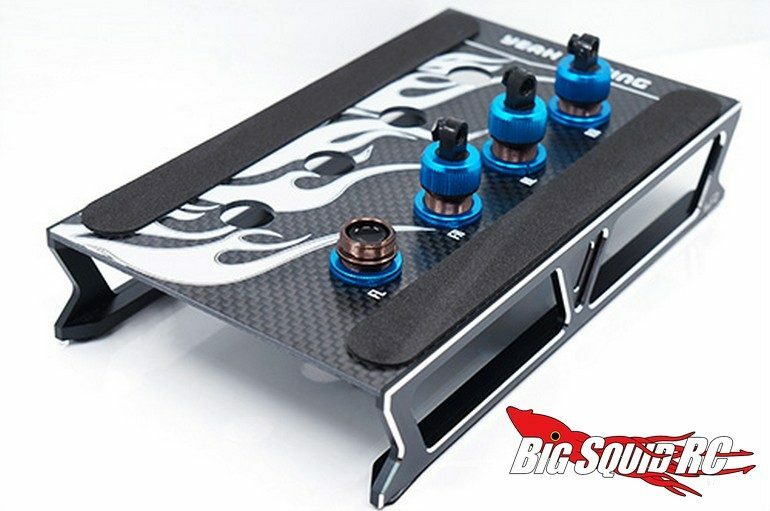 Yeah Racing 1/10 On-Road Car Stand at rcMart « Big Squid RC – RC Car and Truck News, Reviews, Videos, and More! Coming soon to rcMart is the 1/10th On-Road Car Stand from Yeah Racing. The Yeah Racing stand looks really trick, which it should be having been made from carbon fiber and aluminum. Foam pads keep your 1/10th scale touring car from sliding off, while pre-drilled holes come in handy during shock rebuilds. The part number for the stand is #YT-0149BK and you can find complete details at This Link on Yeah Racing’s official website. Happy Friday to one and all, why not check out a TGIF Mystery Link?